Snowflakes, hot chocolate, woolen scarves and Christmas – yes it’s finally winter! Time to break out that cute coat, the quirky Christmas sweater and your winter makeup look. With the end of warm fall colors, comes the beginning of cool winter blues – and I don’t mean the sad kind! So take a look at these 5 gorgeous eye makeup kits that won’t put too much of a dent in your wallets. This little eye makeup kit is compact enough to easily find a place in your purse. What’s more, it costs an affordable $12 but can easily be found at online retail stores for lower. The palette contains beautiful, long lasting colors that can take you from a laid back day to a sophisticated night look. The mascara and eyeliner can add definitionto your eyes and create a customized look unique to you. The entire collection comes at a bargain of just $5! Used together, this eye kit can create frosted looks perfect for a bracing night out. It’s travel friendly and is priced at $10.99 on the website. Totally worth it don’t you think?! 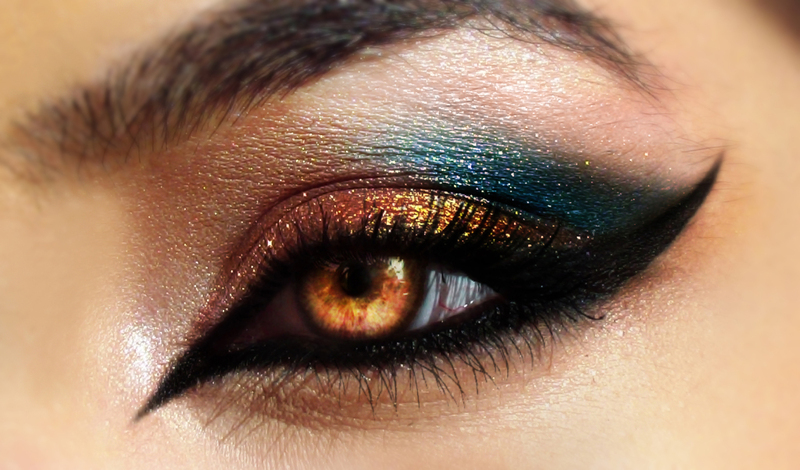 Can you think of anything that suits the wintery months better than a black and silver smokey eye? (The white shadow can double as a highlighter). A bonus for this palette is that the five eyeshadows are labeled so even a makeup novice can easily create a gorgeous eye look. And guess what! This mini kit is only $4 plus the palette is available in several other color themes as well. Sephora guarantees long lasting products, plus you can slip this eyeshadow set easily into your travel bag. Catch it on sale for only $19 this holiday season! This season’s prettiest and most affordable eye makeup collections are at your fingertips – so treat yourself (and your eyes) to a little holiday present and look to the New Year with bright and beautiful eyes. Happy shopping!